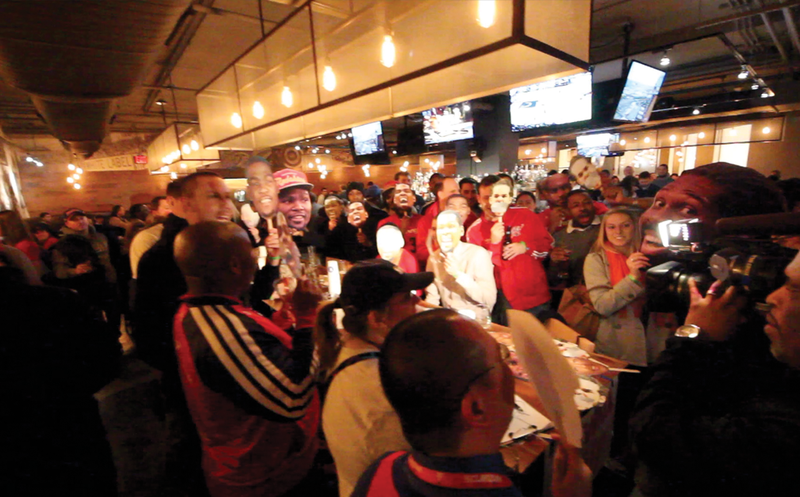 This Friday night Wizards fans are going to make a big impression on Kevin Durant as we meet/tweet up at Lou's City Bar in DC at our KD 2 DC Wizards @ Thunder watch party (RSVP Today!). 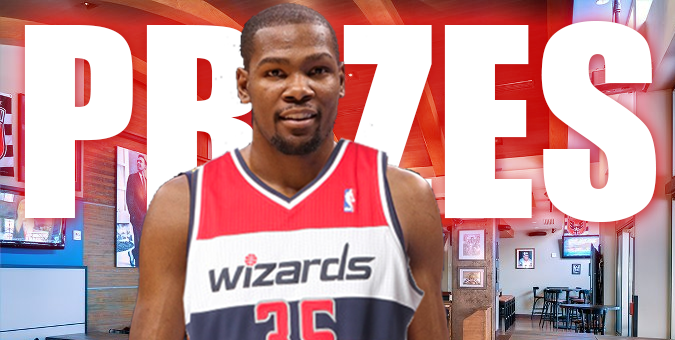 There are some great food & drink specials, the Wizards game audio from Steve Buckhantz, and a whole lot of Kevin Durant schtick. But really...we know why you are excited. The Prizes! Here's what we've got lined up right now! First off is something for the ladies. Well, after a few 18 foot jumpers this prize may be more exciting to the fellas. 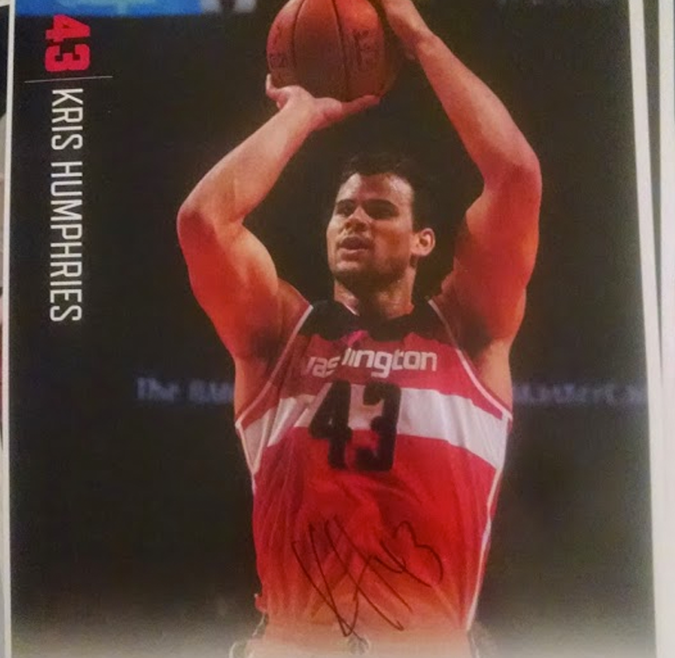 It's an autographed Washington Wizards Kris Humphries photograph. Unfortunately we had Kris sign the thing instead of Kim, so the value is not as high as it could be. However the way the guy is playing right now combined with his former famous family, this is a pretty cool little prize. 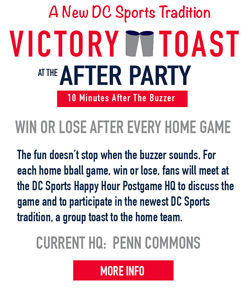 Our gracious host, Lou's City Bar, has offered up a nice little prize so you can come back and enjoy some of their food while you watch the next Wizards game! They have a full menu of delicious items including burgers, wings, and some other great entrees. This is a cool concept. What better way to spread the Kevin Durant love around the city then to have a giant picture of him in a Wizards jersey on your shirt! 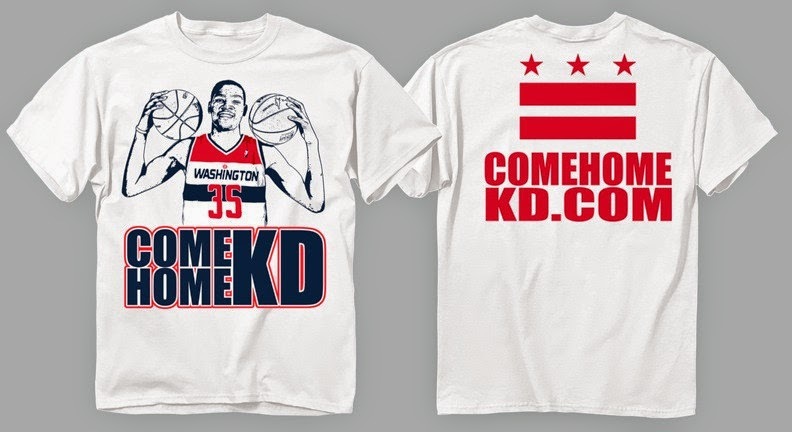 Our friends at ComeHomeKD.com (visit their site to get your own shirt via Charity). 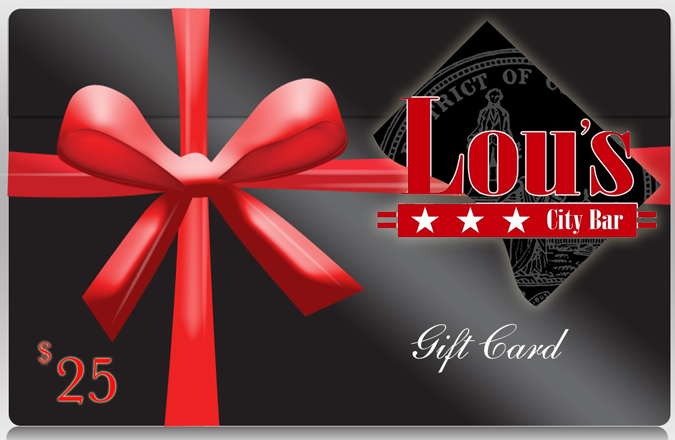 Make sure you come to Lou's before the game (event starts at 7pm) to make sure you get registered and set up for your chance to win! Help us out by RSVPing so the bar can set aside the right amount of space for us!